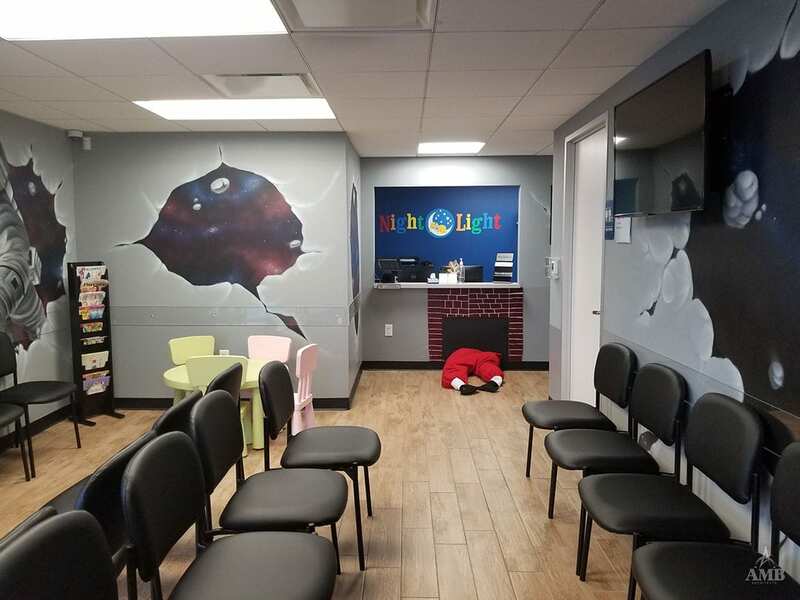 The goal of Night Light was to create a functional yet spacious facility that focused on quality, convenience, and comfort. 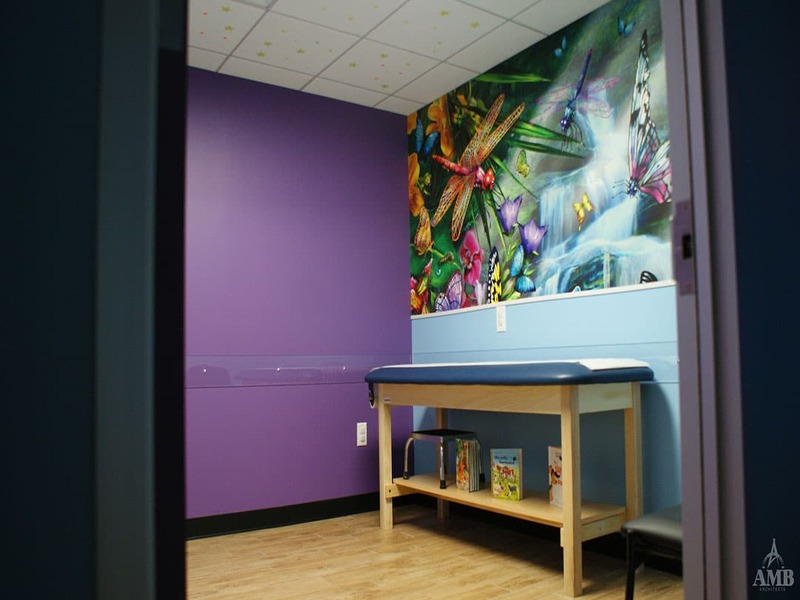 The fun murals and pops of color makes it is a great space for kids to be in and cared for. 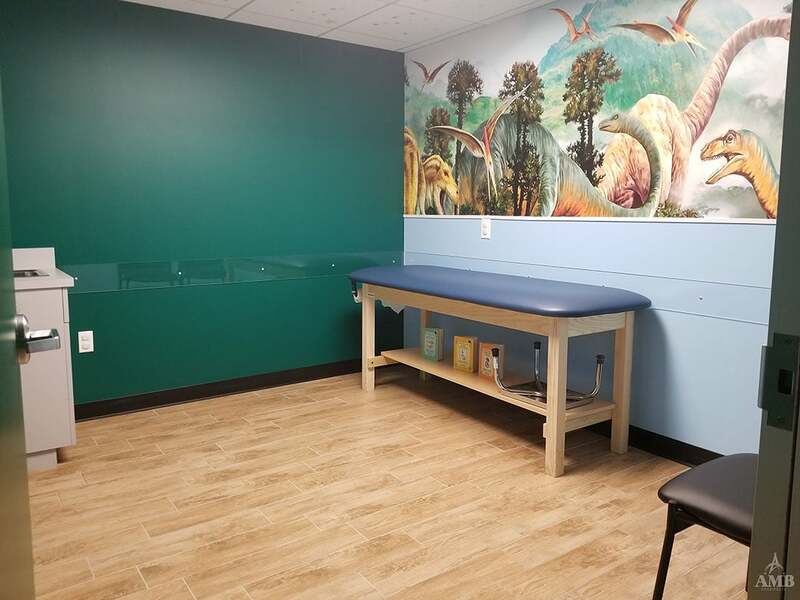 Located throughout Houston location is unique AMB has worked on multiple locations for Night Light Pediatric Urgent Care.